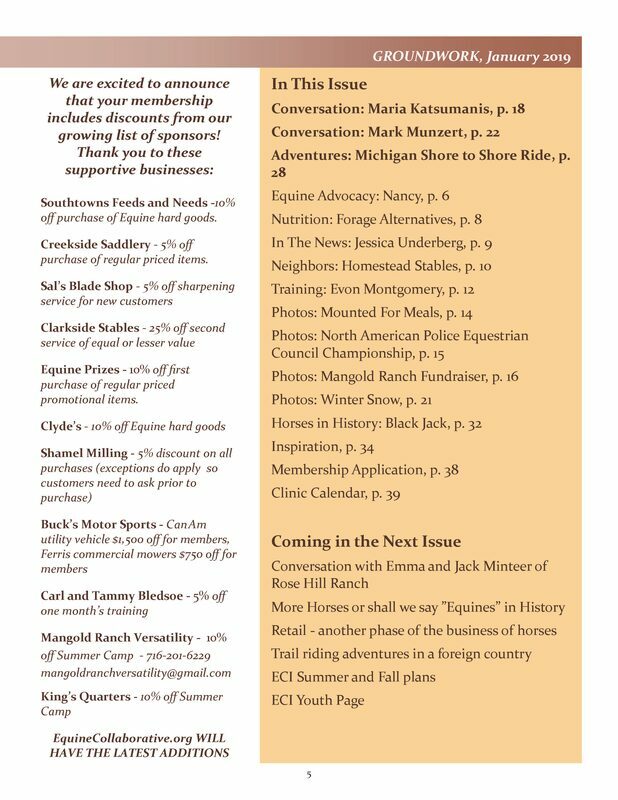 Newsletter - EQUINE COLLABORATIVE INTERNATIONAL, INC. The January Newsletter is PUBLISHED and AVAILABLE To Members - enjoy! Below is the front cover and table of contents of our second edition of Groundwork. It's 40 pages packed with excellent articles and beautiful photos - we hope you enjoy reading it as much as we enjoyed creating it for you! ​Please feel free to add to our efforts by submitting your ideas and experiences in Letters to the Editors, stories, articles, reports, photos, poetry, etc. All submissions are subject to inclusion/exclusion due to space availability and at the discretion of the editors. Please keep us updated with upcoming events to be included on our events calendar. 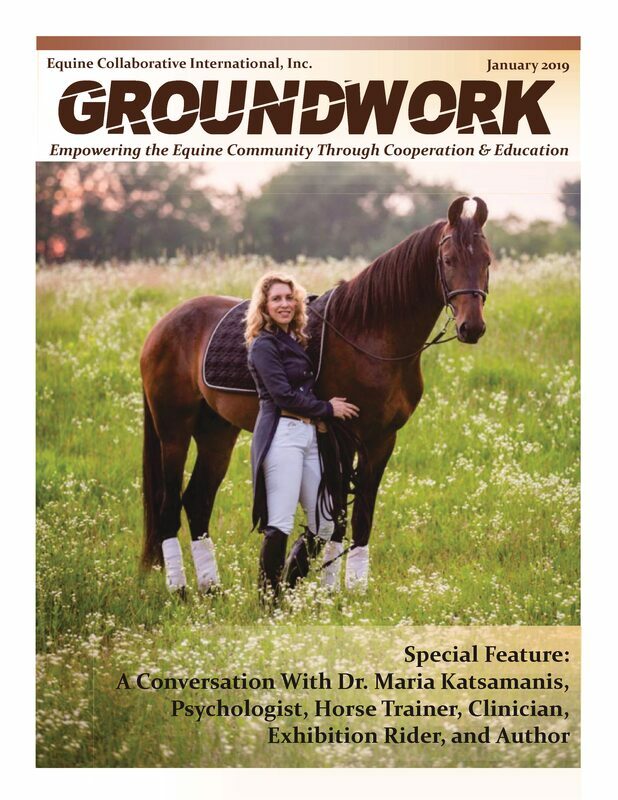 Below is the digital version of our first edition of Groundwork - we strive to create a publication that is educational and fun to read. ​Please consider submitting content or purchasing an ad for future editions!